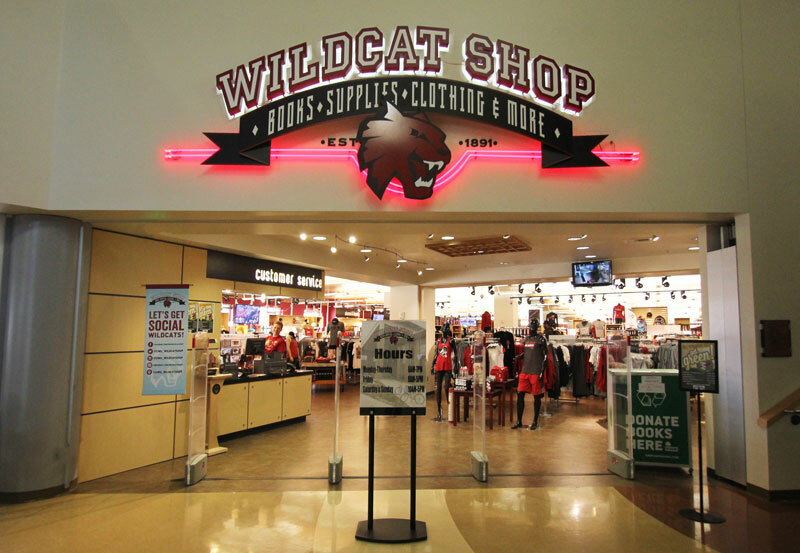 Located in the Student Union and Recreation Center (SURC) at Central Washington University, the Wildcat Shop offers a variety of items that are essential for any student. . Local author book signings, special events, and sales add to a vibrant atmosphere. From textbooks and general book selection, to apparel, electronics and supplies, the Wildcat Shop truly has something for everyone- including a custom publishing department. 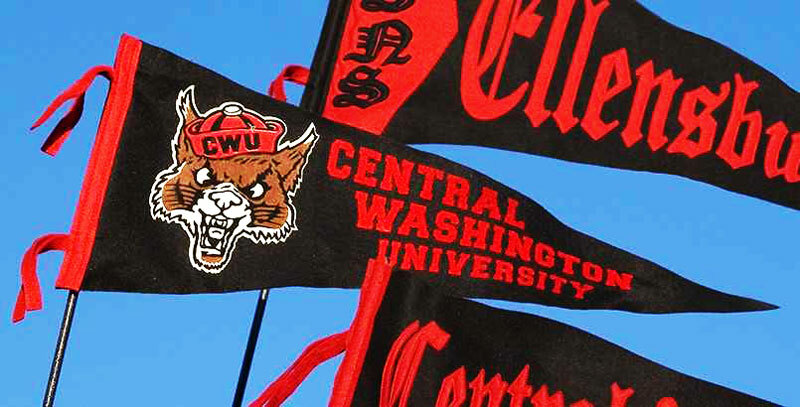 The Wildcat Shop supports the mission of Central Washington University and promotes Wildcat spirit by creating a superior customer experience in an inviting setting. We are committed to offering competitive, environmentally conscious products and services that meet the academic and individual needs of our University community. Prior to 1910, Washington State Normal School students were supplied textbooks without charge. During that year it was decided that students should start buying their own textbooks. A local dealer was contracted to sell textbooks. In 1916 the Associated Student Body officers established a Book Exchange Program that was heavily used and quickly expanded. It was initially located in the basement of Barge Hall but was moved to the building's main floor in 1922. In 1926 the Book Exchange was moved to the newly constructed Kamola Hall but did not do well in its new location. It was discontinued a year later. Textbooks were sold to students by the Ellensburg Book and Stationary Company until 1936 when President Robert E. McConnell authorized the business manager to establish a bookstore in Barge Hall under the control of the Business Office. The bookstore grew rapidly and expanded its stock and services, with business growing from about $6,000 in 1936 to $78,000 in 1951. 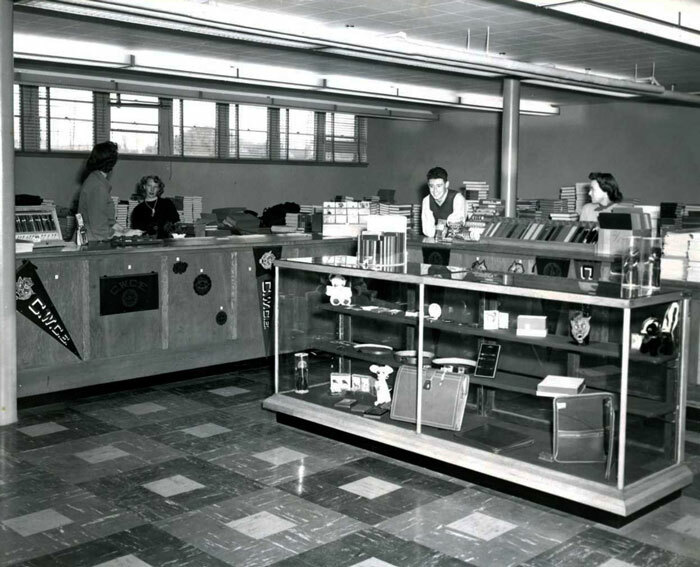 The college bookstore was moved to the new Memorial Student Union building that opened in the summer of 1951. 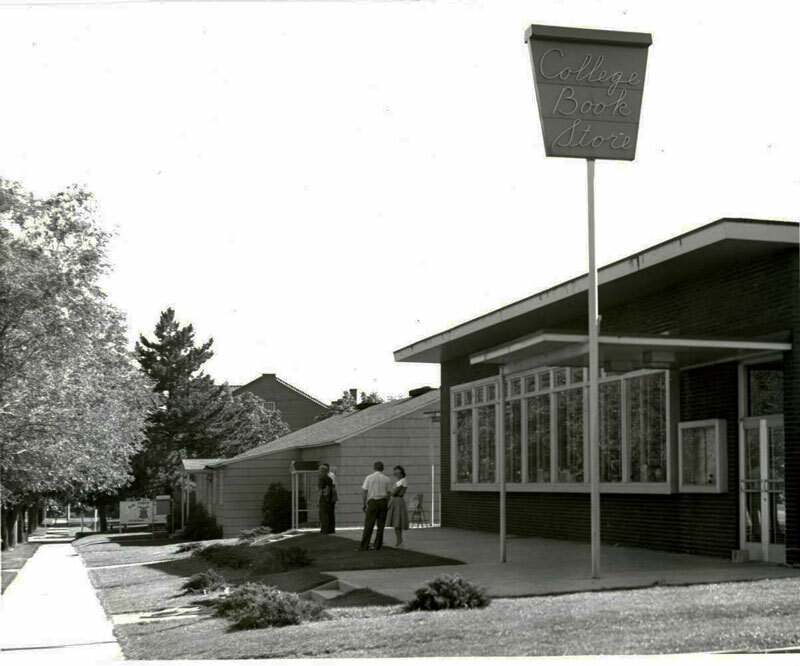 A separate building for the Bookstore was completed in 1955 at a cost of $99,202 and was one of the Auxiliary Service buildings. A publication on the college bookstore from 1964 states, 'Your College Bookstore is Majoring in Service.' There was also a Bookstore Advisory Committee at this time. In addition to providing textbooks for sale, the bookstore also provided check cashing, magazine subscriptions, film processing, postal service, money orders, and a lost and found. When the SURC was completed in 2005, the bookstore moved into its current location. 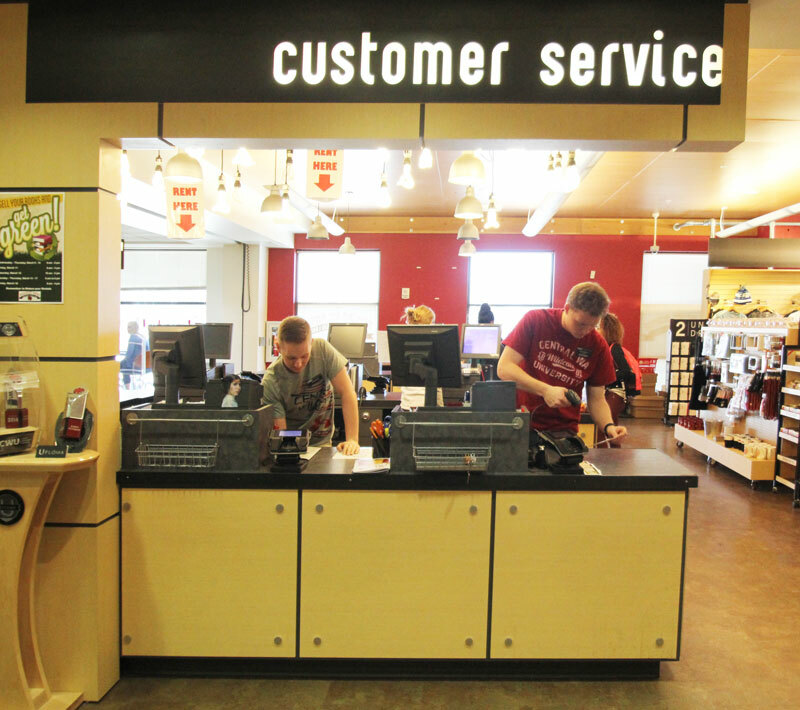 The Wildcat Shop today still offers textbooks for students, we also offer copy shop assistance for academic success, the Wildcat Shop also provides electronics for sale, as well as selling a wide variety of CWU pride gear. The Wildcat Shop is hiring from an ongoing pool of candidates. 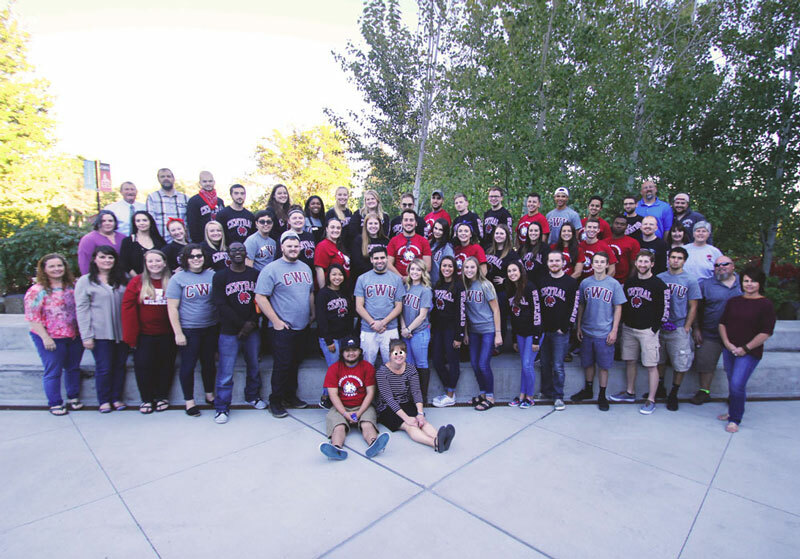 If you are interested in joining our team please apply at cwu.edu/student-employment.